Before joining NUI Galway, Cian worked in the Department of Economics at University College, Cork and previously in fund management with Bank of Ireland Asset Management, Dublin. Cian is currently a lecturer in economics within the JE Cairnes School of Business & Economics at NUI Galway, where he delivers a wide range of modules across the discipline of financial economics. He is actively involved on several academic committees within the School. Moreover, he is currently Programme Director of the interdisciplinary BSc. in Financial Mathematics and Economics degree programme. He has also been a regular newspaper contributor to the 'Money Matters' column for the Galway Independent and has made a number of media contributions on various radio and television programmes. Cian is also the academic liaison for NUI Galway with the Irish branch of the CFA Institute (the global representative organisation for investment professionals). Through the SUMMIT FINUAS Network (managed by Skillsnet), he has also delivered lectures on global financial markets and fund services. 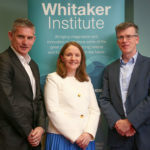 These lectures were aimed at jobseekers seeking an insight into financial markets and an understanding of the international financial services sector in Ireland. "The Eurozone: Saved by the Bell? ", Journal of the Institute of Bankers in Ireland, Vol 116(1), 2012. Modelling Linkages Among European Equity Markets Incorporating Time-Varying Conditional Skewness, IAEA Conference, Madrid, Spain, March 2007. Using DCC-GARCH to Model International Bond and Equity Market Interactions, International Conference in Finance, Copenhagen, September 2005. "Multivariate GARCH Analysis, Economic and Social Review, 29 (4), 1998. Cians primary research interests are in fapplied financial economics. In particular, his research applies recent advances in quantitative finance to a series of research questions in the area of cross-market interdependencies among international capital markets, stock market volatility, and innovative financial instruments (in particular, contracts for difference). In addition, he is currently exploring the application of behavioural finance to portfolio modelling. His other research interests are in the related areas of international finance, monetary economics, banking, financial derivatives, and the interplay between financial and industrial economics. These correspond well with the courses he teaches in financial markets, investments, banking, financial econometrics, statistics, portfolio modelling, and financial derivatives. (2017) Quantifying Financial Literacy in Galway. (2018) The Future of Cash. (2017) Conditional Skewness Modelling in Financial Markets. Warsaw: EFA Risk Conference. (2016) An index of financial market stress for the United Kingdom. (2016) DCC-GARCH Models across Financial Markets. London: EFA Risk Conference. (2008) Volatility Linkages in Assets Markets. Milan: EFA Risk Conference. (2015) Modelling Linkages among European Equity Markets Incorporating Time-Varying Conditional Skewness. Madrid, Spain: IAEA Conference. (2006) DCC-GARCH International Models. Wexford: Irish Economic Association Annual Conference. (2005) Using DCC-GARCH to Model International Bond and Equity Market Interactions. Copenhagen: International Conference in Finance. (2002) Conditional Skewness in Equity Markets.. Limerick: Irish Economic Association Annual Conference. (2000) Volume and Volatility Interactions Among Major European Stock Markets. London: Money, Macro and Finance Conference. (2018) Happiness economics, hygge and the world of work. (2014) Why a fall in airfares is unlikely. (2015) Economic lessons from a club sandwich. (2015) The surprising economics of Easter eggs. (2015) The economic benefits of our Irish weather. (2015) How the ECB is Q(uickly) E(roding) the euros value. (2015) An economic perspective on the marriage referendum. (2015) Can further stock market gains beat the January Blues?. (2011) Brain Training for Investors: Part I. (2011) Brain Training for Investors: Part II. (2011) VAT: Not as easy as ABC. (2011) Heads or Tails on Global Inflation?. (2011) How much for a Partridge in a Pear Tree?. (2011) ECB: Is it Time to Start the Printing Presses?. (2011) A Trillion Euro: A Price Worth Paying to Save the Euro?. (2011) Smartphone Wars: Attack of the Clones. (2011) Fake Apples and Rip-Off Chanel Handbags. (2011) Financial Amnesia: Why our Memories are Not to be Trusted. (2012) Can Making Babies Rescue the Global Economy?. (2012) Gosset and the Perfect Pint of Guinness. (2012) Social Investing and the Herd Effect. (2012) Does Weather affect the Stock Market?. (2012) If you Fancy a Little Light Reading. (2012) Going for Gold: Predicting an Irish Gold Medal in the Olympics. (2012) Volvo Ocean Race & its Economic Impact for Galway?. (2012) Video Games: Economies of the Future?. (2012) Why are there so many Spam emails?. (2012) Halloween Indicator 2012: Trick or Treat?. (2008) Volatility Linkages. London: MMC Risk Seminar. (2013) Quantifying the effects of the inclusion and segregation of Contracts for Difference in Australian equity markets. (2014) How have Contracts for Difference affected Irish equity market volatility?.